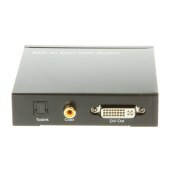 The SDI to DVI Converter with Audio allows SD-SDI,HD-SDI, and 3G-SDI signal to be shown on DVI/SDI displays while ensuring high bit rates of 2.970 G bit/s to give you fast signal transmission without any loss. 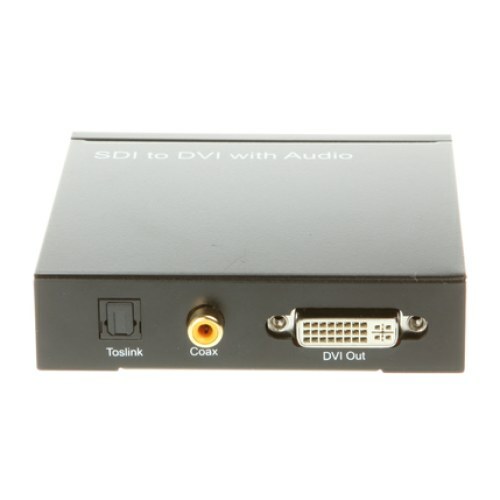 For professionals this means that it is now easier to distribute and extend your 3G SDI signal while giving you the ability to display your work on DVI displays thanks to the built in DVI converter. Furthermore, thanks to the loop-through 3G-SDI design, users are able to enjoy both SDI and DVI displays at the same time. Support 8 bit, 10 bit, 12 bit of deep color. SDI input. Support long coaxial cable, SD mode 300 m, HD mode 220 m and 3G mode 100m (RG6 cable or its quite product). One way SDI output, with the Re-clock function,can supportmultiple cascaded. Hi there, I would like to purchase 10 of these, can I get a price please?